Gaitore is amongst the most famous tourist attraction in Jaipur know for its beautiful blend of Islamic and Hindu style of architecture. Gaitore is famous for its cenotaphs or 'Chattris', well known as Gaitore Chattris. Gaitore correctly pronunciation is 'Gaye ka Thor' which means resting place of departed souls. 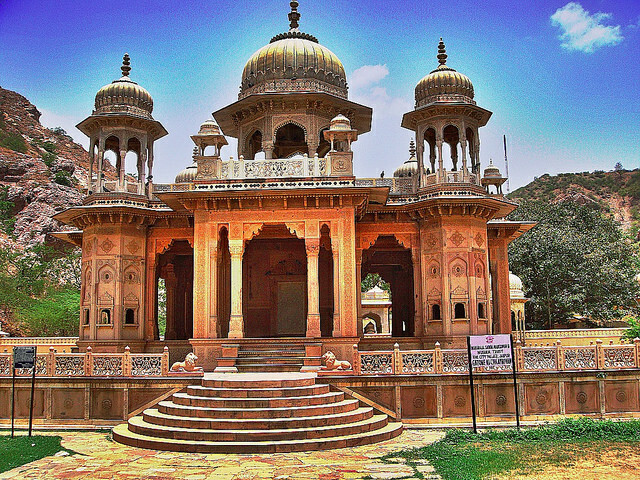 Located at a distance of 15 km from Jaipur city, on Jaipur-Amber road, Gaitore is the royal crematorium of Maharaja's. This cremation site has many cenotaphs for each Maharaja of Jaipur. These royal cenotaphs has artistically Rajasthani carvings. Gaitore cenotaphs are constructed perfectly with a combination of Islamic or Mughal tomb architecture and Hindu temple architecture. Maharaja Sawai Jai Singh II cenotaph attracts everyone with its exceptional beauty. Its has marvellous carvings, pure white marble, ornamented designs, and peacocks. Except Maharaja Sawai Ishwari Singh, all Maharajas of Jaipur were cremated here. He was cremated behind the Chandra Mahal, City Palace complex. 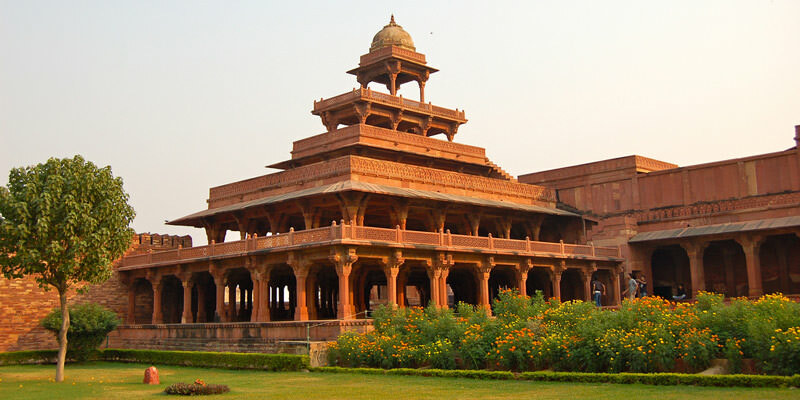 Each Gaitore cenotaphs depicts the carvings which represent the taste of Maharaja in whose honor it was built. By Road: Gaitore is located in the outskirts of Jaipur city at a distance of 15 km, on Jaipur-Amber road. One can easily reach here with local taxi or cab. By Rail: Gaitore, Jaipur is well connected through Jaipur Railway station to major cities railway stations like Delhi, Agra, Mumbai, Chennai, Bikaner, Jodhpur, Udaipur, Ahmedabad. By Air: Gaitore can be reach through Jaipur Airport, also called Sanganer Airport which is well connected with regular domestic flights to Delhi, Kolkata, Mumbai, Ahmedabad, Jodhpur and Udaipur.